The environment of 1918 London is pretty spot on. While not a true open world, the map is a good size. There are areas that are safe zones where you can talk to characters to get side missions and then areas with respawning enemies which include other types of vampires and the local guard as well as vampire hunters. Also a basic leveling system for you and your weapons and looting to find parts for upgrades. Like the game itself, it is nothing special. Combat is serviceable. You won’t get any flashbacks of Batman Arkham games, yet it is done well enough. You will hit camera issues especially when fighting multiple enemies which happens a lot. Again, it is just there. There are some uniques systems in Vampyr that make the game different than anything else. First off the game has no difficulty setting. The games difficulty is determined by how willing you are to fully embrace your new powers. If you choose to spare people you will not get experience to level up your character and enemies will be harder as the game progresses. On the other side of the coin you can choose to make Whitechapel and the surrounding areas your own personal buffet and get stronger and keep the game on more of an even keel. To make the choice mean more you get to know the citizens in each area. 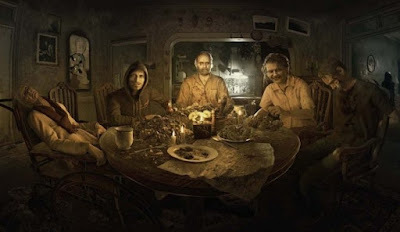 As you learn more about them through hints and dialogue their blood level goes up and you grow the amount of XP they will give you if, or when, you decide to sacrifice them. This really is a new and great way to make the characters and choices you make mean something. It would be even greater is it wasn’t so...extremely...uninteresting. When you play a dialogue heavy game like Mass Effect long conversations are a welcome thing because you are wanting to learn more about the races and motivations of everyone. Vampyr tried to make the options mean this much, but actually getting through all of the dialogue is as much fun as pulling your nose hairs out one by one as someone rips wax paper off of your taint while watching Showgirls. I do think we need more games like Vampyr in the gaming arena. We are stuck in a "it's either an indie game or a multi-million dollar budget triple A game" area. While it didn't work here, we need more of its kind to help give the market more variety. Vampyr is not a bad game. It is just...boring. And this is coming from someone that really, really likes The Order: 1886.